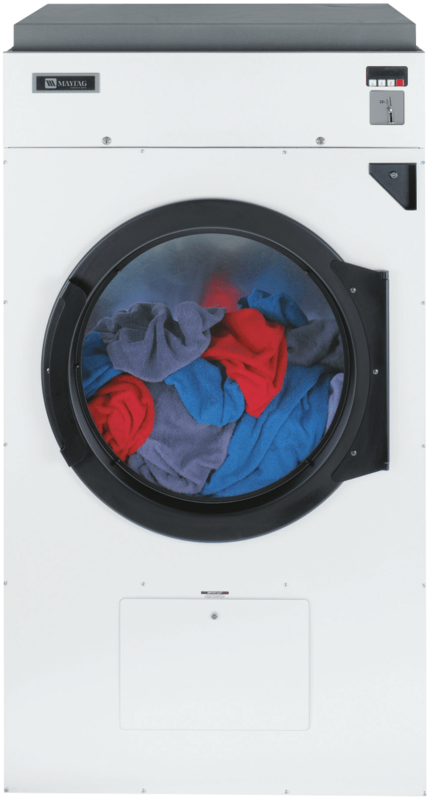 This machine’s deep-water wash and rinse cycles deliver exceptional clothes roll over and vigorous cleaning action that results in optimal wash performance. This 2.9 cu. 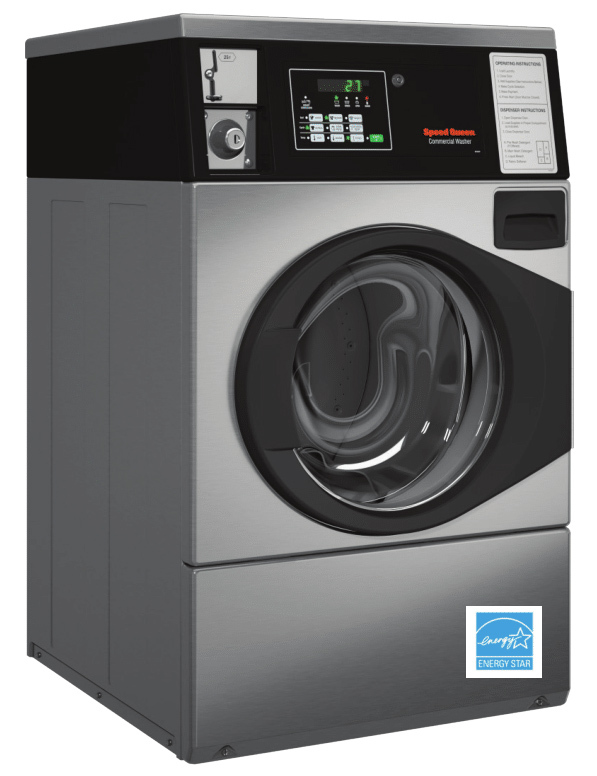 ft. the washer is equipped with Intelligent Controls and M-series technology that puts owners in charge of their profits and provides wash cycle flexibility to individual users. 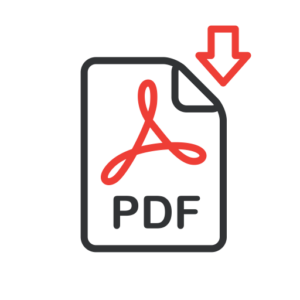 Simple, step by step programming allows for customized setup with the ability to price each cycle and option individually for maximized earnings. All the components are protected by a heavy-duty cabinet with an easily removable front panel that helps streamline service calls. 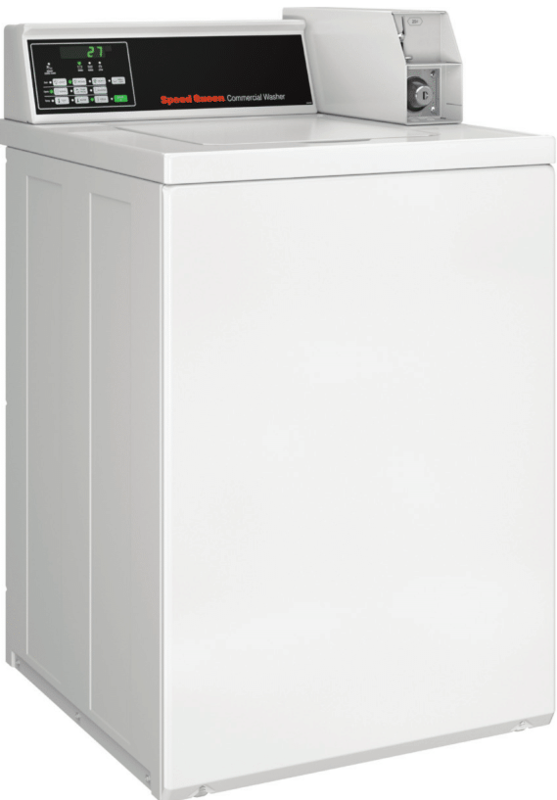 This top loader is built for reliable performance includes a touchpad control, 27 cycle selections, and commercial-grade stainless steel washtub. 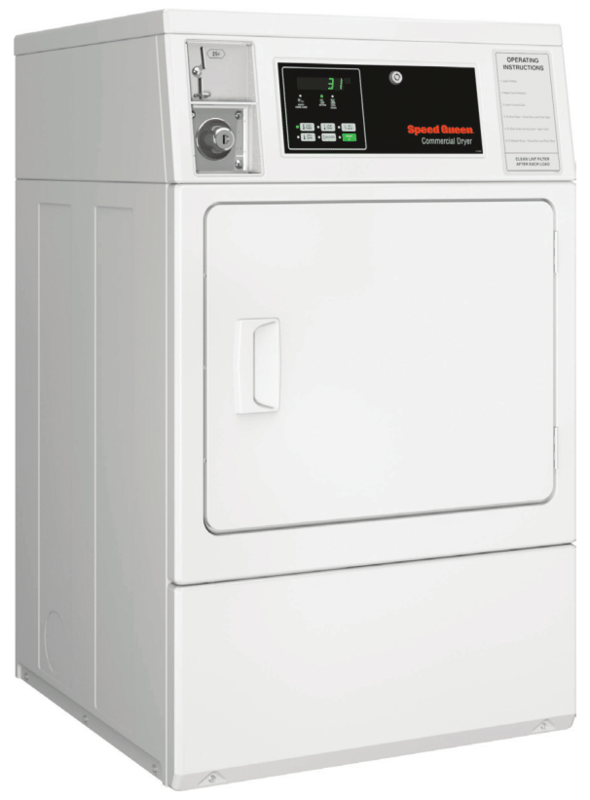 The two speed top load washer combines heavy-duty construction with reliable operation proven to stand the test of time, maximum energy efficiency and long-lasting performance. 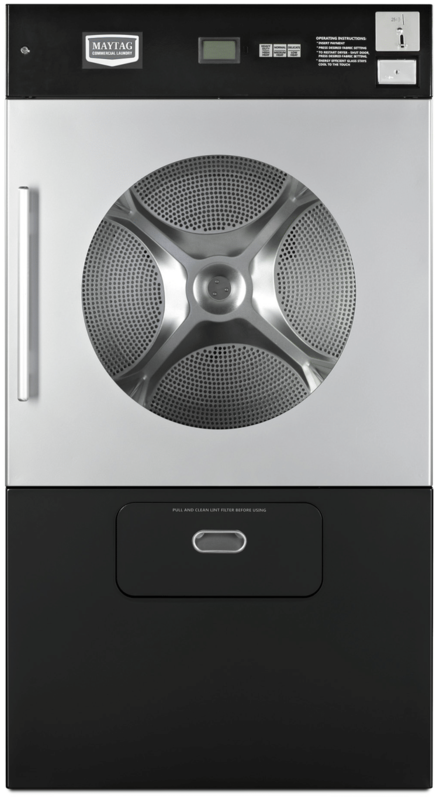 With the cutting edge Quantum control system, you have the freedom to manage laundry your way. This machine has advanced spin technology, delivering more accurate cycle times and better unbalanced performance. It is equipped with new TurboWash System technology to reduce energy and water costs while still providing a high quality cleaning performance. This 3.1 cu. 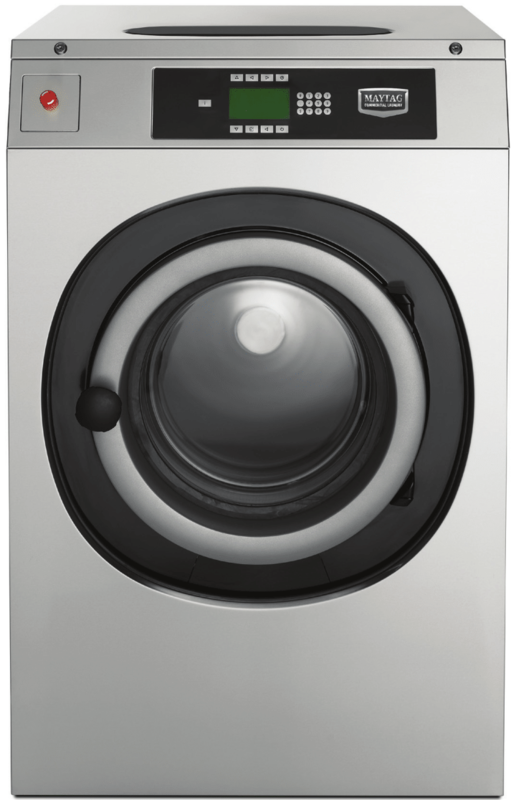 ft. washer is equipped with Intelligent Controls with M-series technology that puts owners in charge of their profits and provides wash cycle flexibility to individual users. Built with a watertight, flexible, triple-lip seal and garter spring, the premium bearings are protected from moisture. 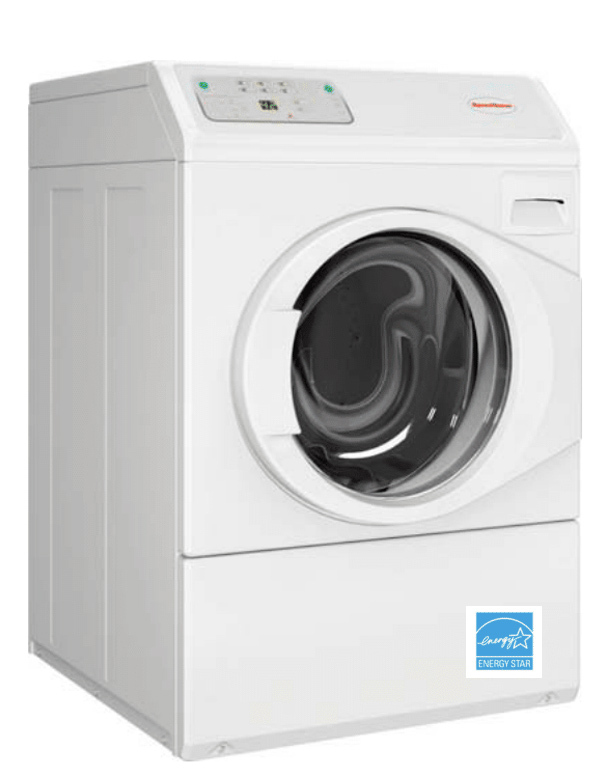 This front load washer comes with an extra-large door for easy loading and unloading and includes a four-compartment supply dispenser. It has a touchpad control with an easy to read digital display and is compatible with both card, credit card, app and coin transactions. With the revolutionary suspension and sensing technology, this machine manages and redistributes unbalanced loads to deliver uninterrupted cycles, eliminate vibrations and quiet operation through the duration of the cycles. 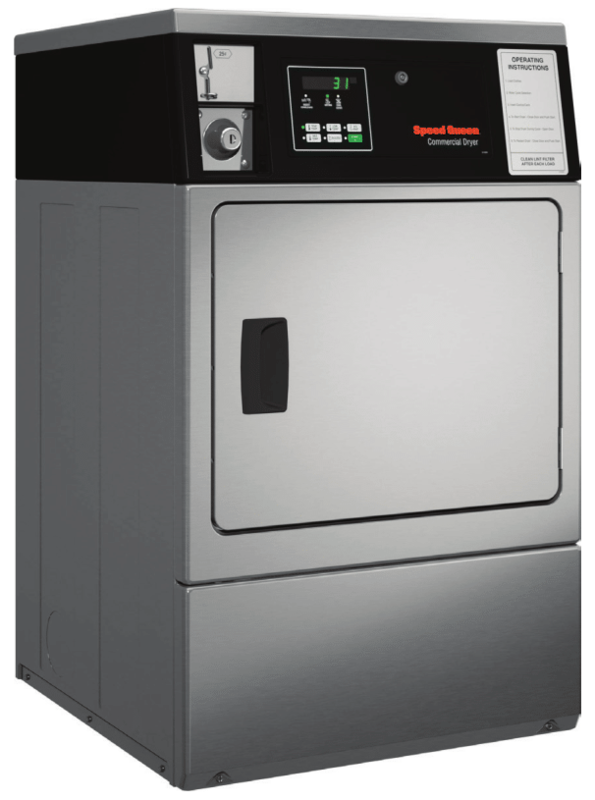 The Speed Queen Rear Control Front Load Washer utilizes groundbreaking innovation to automatically redistribute unbalanced loads. 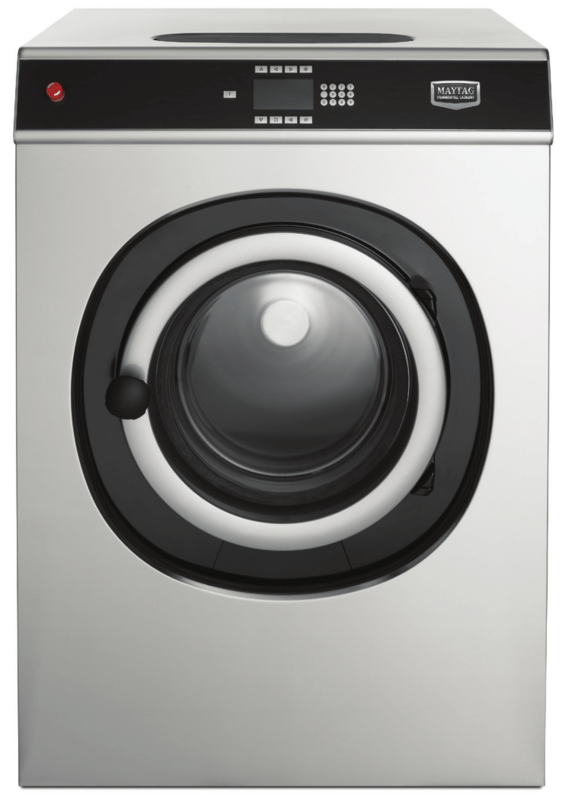 Combined with its 440 G Force extraction speeds, this machine delivers uninterrupted laundry loads. It delivers maximum water efficiency, leading to reduced utility costs and reduced dry times. 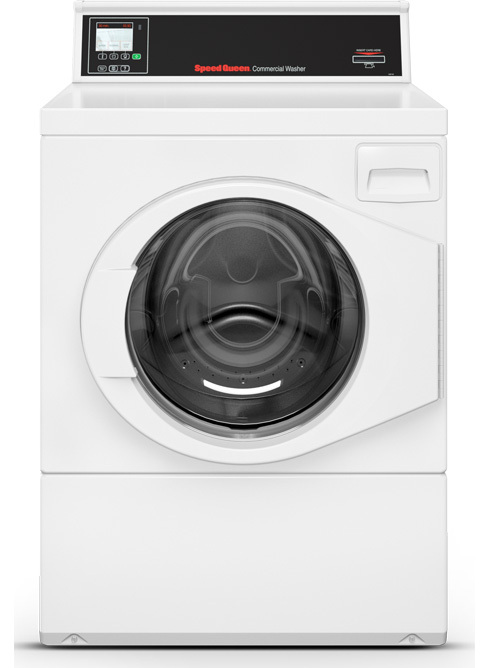 The new Maytag Commercial Laundry Energy Advantage Multi-Load Rigid-Mount Washers are all built for efficiency with a new faster spin which extracts more water, resulting in faster dry times. These machines have easy to use controls with multiple language options and 20 preset wash programs. They have a new door design with a larger opening and 1800 door swing, new ergonomic doorknob, and durable hinges for easier loading and better durability. 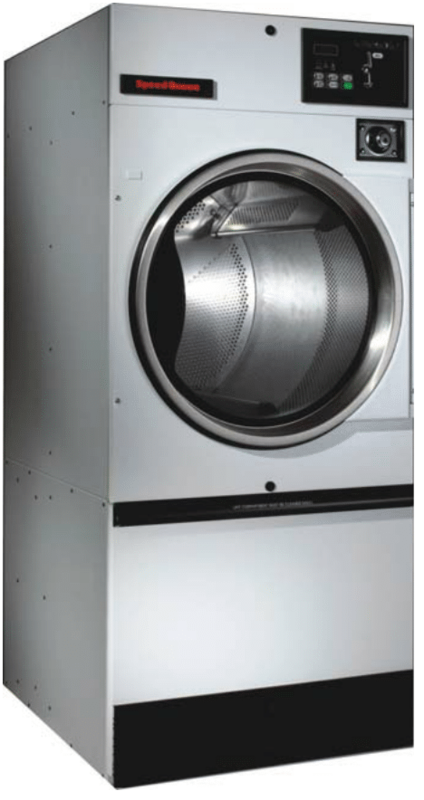 These new washers all use the TurboWash System to provide optimal water savings and high-quality cleaning performance. 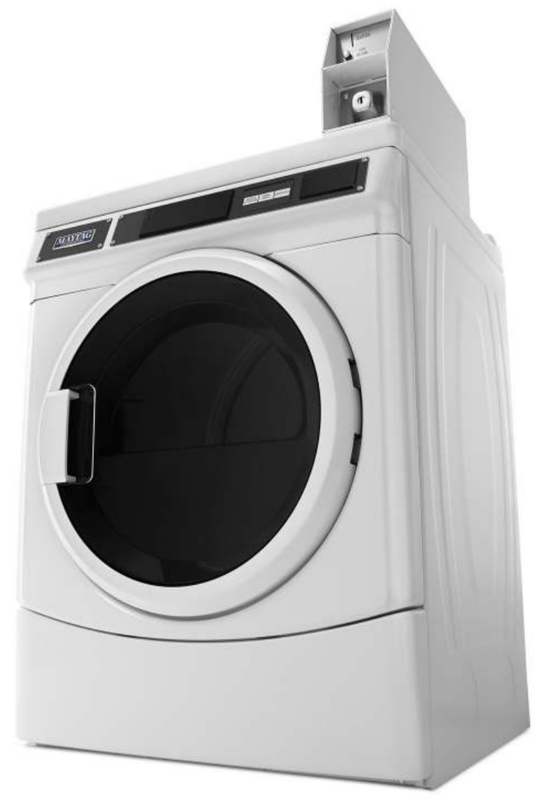 Similar to the MXR series, the Maytag Front Loading Multi-Load Commercial Washer series is ideal for large laundry loads. With easy to use controls, multiple language options, and durable hinges, the MXS Series is ideal for multifamily housing and multiple users. 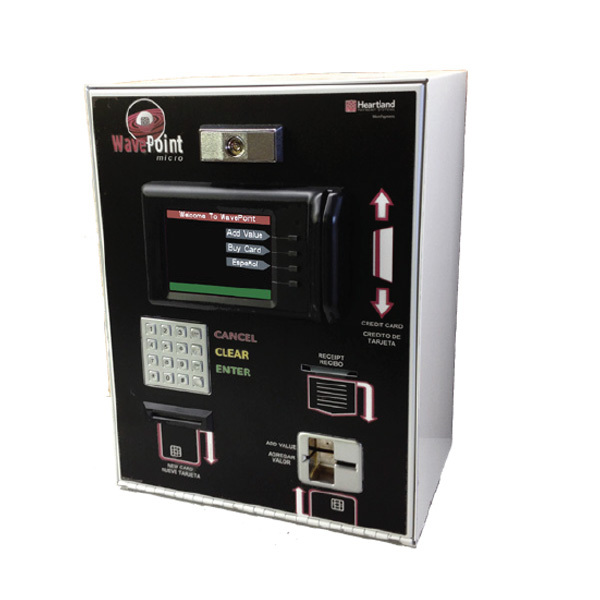 This machine is built for reliable performance and showcases user-friendly controls, automatic door lock, a molded rubber door handle with an easy grip, and stainless-steel inner and outer tubs. The revolutionary technology unites equipment controls, programming, and revenue management into one versatile system. Quantum controls provide users with more cycle choices than ever. dependable drying, cycle after cycle. of a commercial laundry environment. • Boosts durability and aesthetics. while loading and unloading clothes. flexibility for a given space. • High airflow reduces dry time. 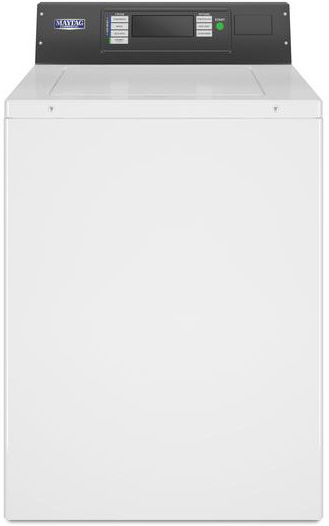 • Durable finish for high-use environments. The Sensor-Activated Fire Extinguisher (S.A.F.E.) 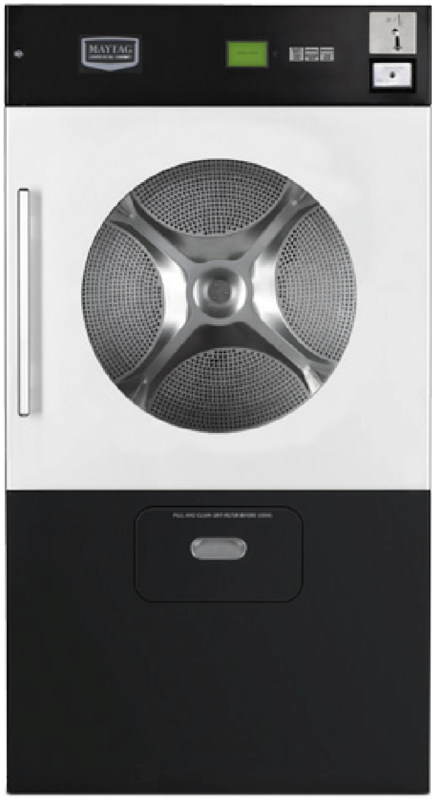 automatically senses dryer fires, douses them with water and shuts off when the fire is out to minimize water damage. It’s a breakthrough in commercial laundry safety that can even reduce your insurance costs! 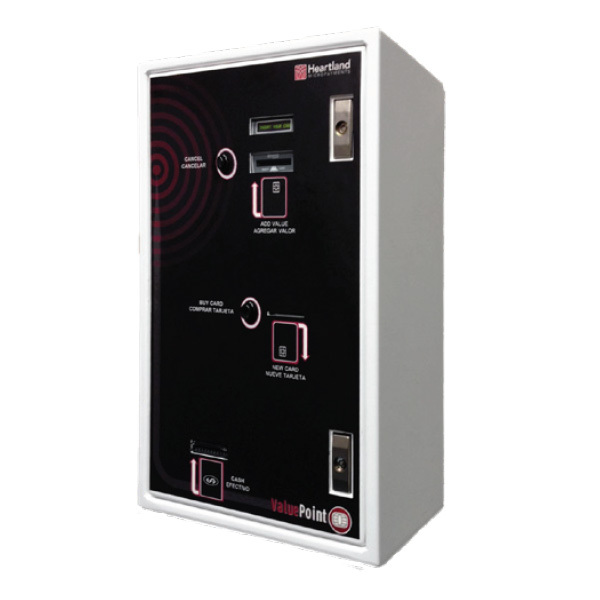 microprocessor controls—so you can set up, monitor and audit your equipment in seconds. 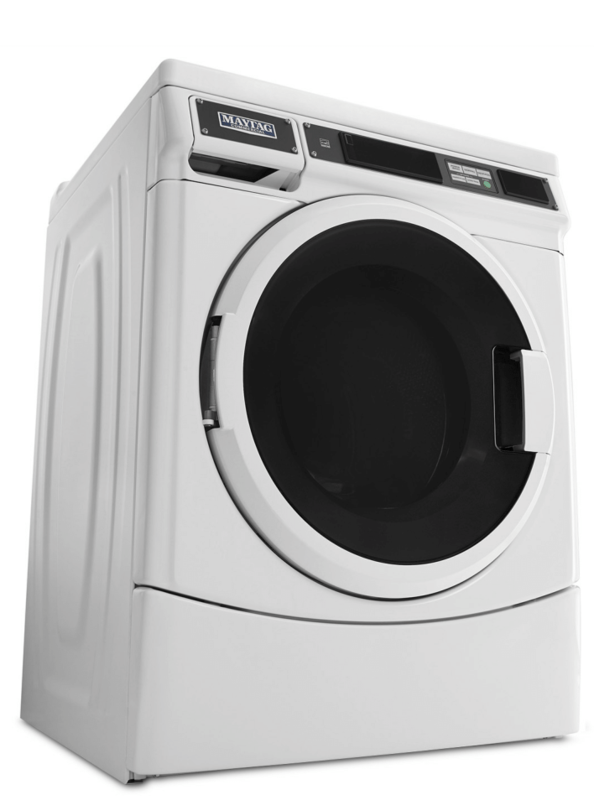 dryers ever from Maytag—to help you save money and build profits. tumbling action for more drying power in less floor space. by day, time, water temperature and Super Cycle options. rating means you’ll save on utility bills. the same floor space as one single-load dryer. the market, offering years of dependable Maytag performance. 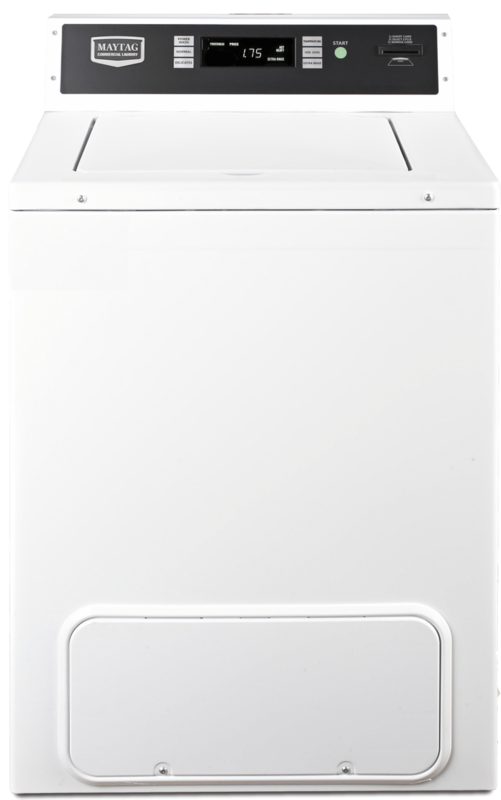 Maytag built the first appliance ever to receive the ENERGY STAR® label. 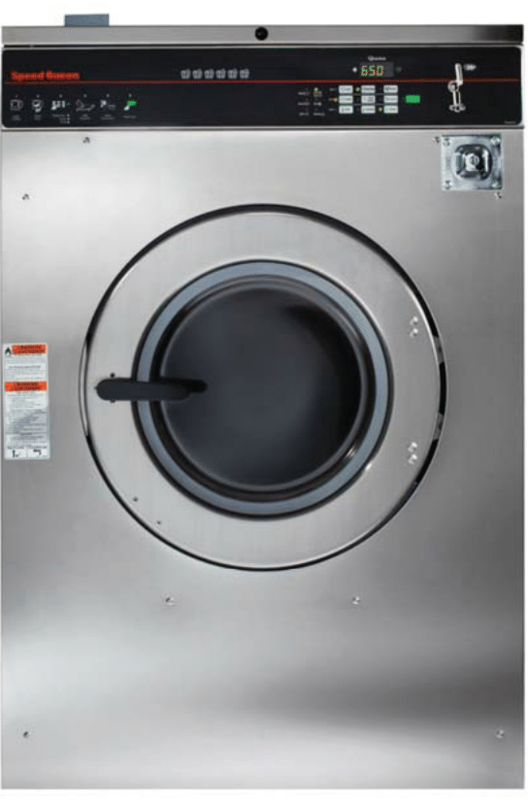 qualified washers—to help you save money and build profits. The WaveRider revalue station combines the option of standard credit/debit card payment with a preloaded, customized laundry card option. These laundry cards can be revalued with cash, debit, credit, or EBT, providing the highest level of flexibility for residents. The mobile application (only applicable to G6 readers) is yet another payment system that can show machine availability, process payments, and more. 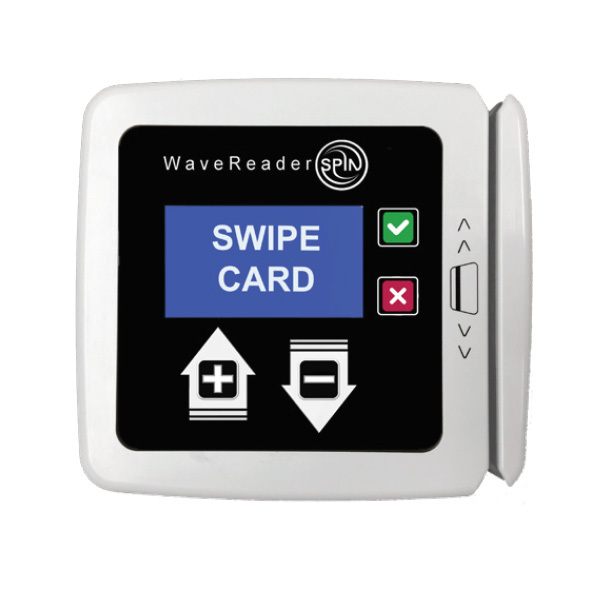 The WaveReader Spin and WaveReader Insert are credit/debit/laundry card readers that optimize and streamline the laundry payment process. The simplicity of these new cashless laundry system solutions increase revenue and customer satisfaction and are backed by superior technology. 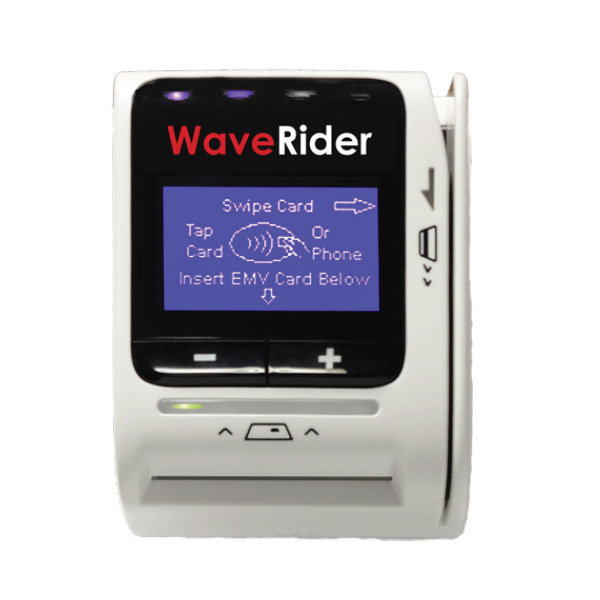 The WaveReader G6 increases revenue and customer satisfaction by offering more convenience. The G6 offers more laundry payment options than any other payment system, supporting EMV chip, credit and debit card, Apple and Android pay, Laundry cards, coin, and more! 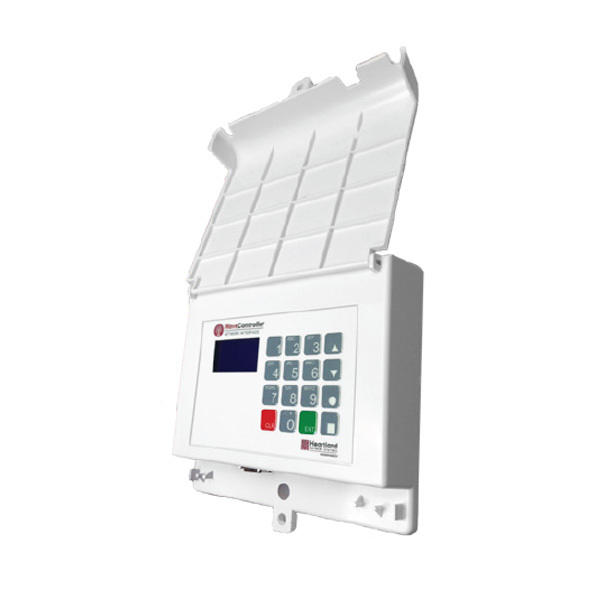 The WaveController is the wireless, easy to install link between WaveReaders and the WaveRider system, allowing owners and residents to be aware of the status of all machines! 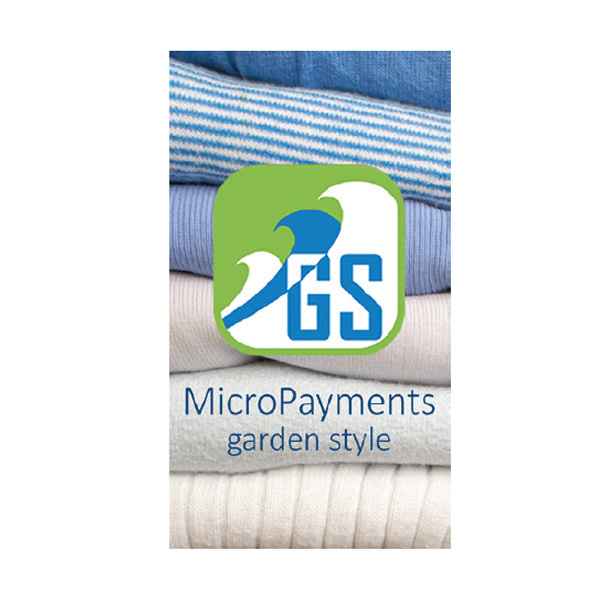 Designed exclusively for small laundry installations, the Garden Style system allows customers to pay for their laundry with their smartphones, after loading money in to the account, adding convenience and security. This easy-to-install payment system works with popular serial-control machines and boosts laundry sales. preloaded, customized laundry card option, providing the highest level of flexibility for residents. 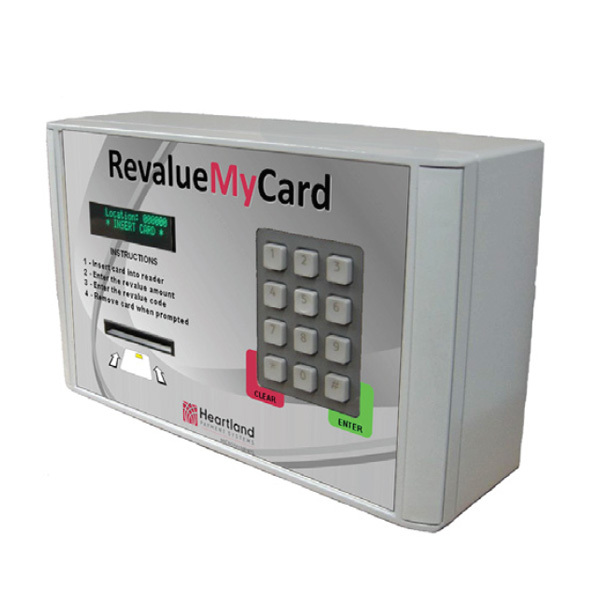 The ValuePoint Cash to Card dispenses SmartCards, increasing convenience and encouraging SmartCard usage. This machine accepts cash but also comes in a credit/ debit card to SmartCard configuration. The Code Based Revalue system makes laundry a totally cashless procedure, enhancing convenience, security and boosting sales. Residents go online to purchase a code which allows them to load their SmartCard at the machine. 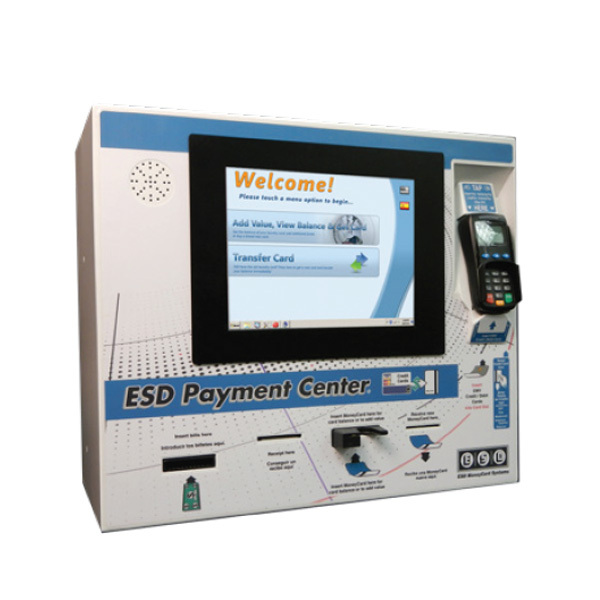 The ESD Payment Center VTM has a full color, intuitive touch screen monitor and audio prompts to assist the customer in registering their account, viewing their card balance, adding value to their card, and buying a new stored value card. 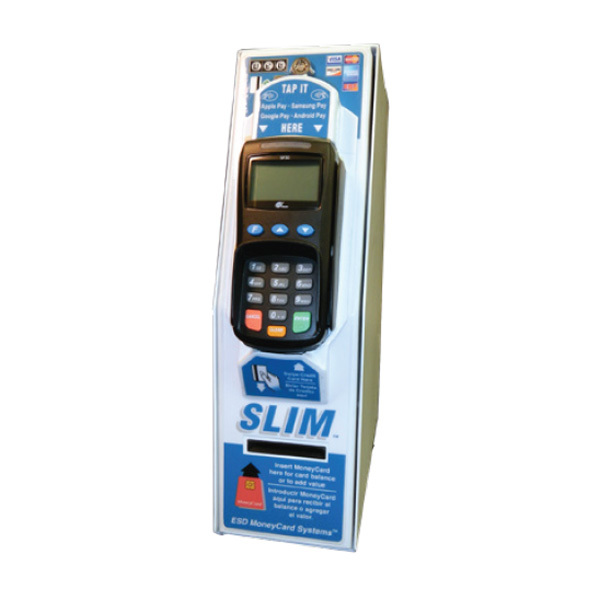 The new ESD Slim VTM offers a range of cashless payment options in a space-saving, condensed model with a user-friendly interface. 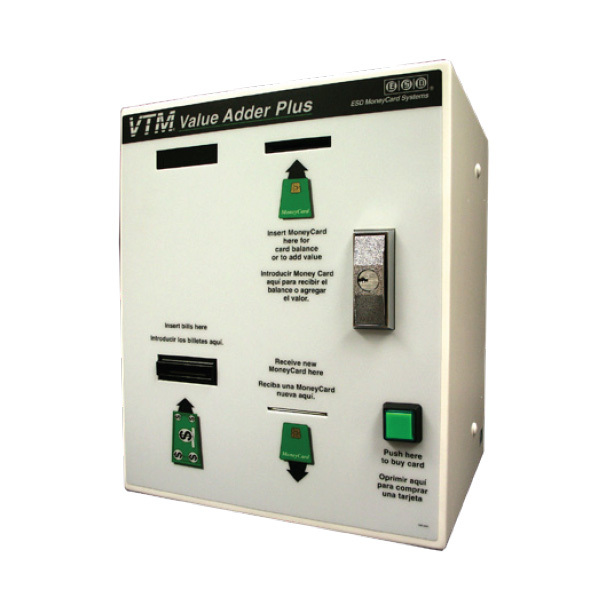 The Coded Value Adder VTM generates a code specific to each customer in order to add value to their laundry card, with a bilingual step-by-step interface that eliminates the need for collections and enables instant refunds. Additionally, the CVA Plus allows residents to purchase a SmartCard on-site. 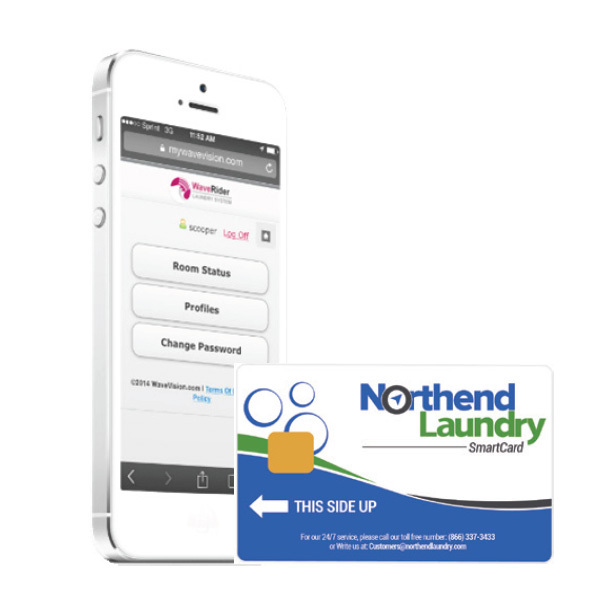 ESD’s CyberLaundry app is compatible with both iPhone and Android smartphones and can enhance the customer’s laundry experience by allowing them to remotely add value to SmartCards, set up and monitor laundry cycles, and earn rewards points for their machine usage!